Diwali is known as the festival of lights celebrated every year and this festive season strengthens your bond with your office employees and office staff through thoughtful as well as personalized gifts. Personalized as well as corporate gifts are also a great idea to promote your business as well as maintaining a healthy relationship with your staff Choosing such unique gift ideas for your employees also have a significant meaning. 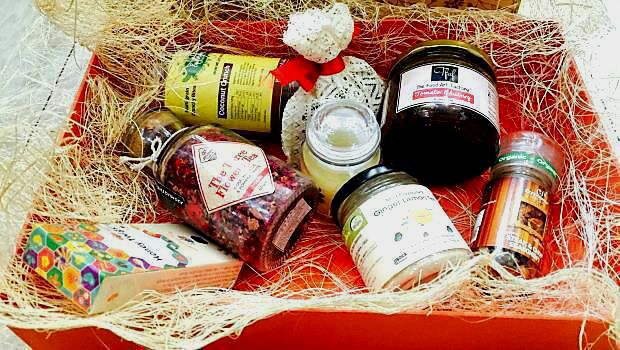 Here are 5 options of amazing customized diwali gift for employees. Handmade leather journal gift sets are the perfect Diwali gift for employees and office staff who love to travel and write. This gift set includes a brown leather journal with sheets and a pen which gives it a perfect lavish style and classy look. The gift set can also be personalized with a monogram or the company logo or employee’s name which will be highly valued for sure. Such gifts also remind an employee of your appreciation for all their hard work. Another perfect gift option for corporate employees will be desktop card holders accordingly customized for each employee. These desk accessories are perfect for both home and business office settings. Personalized desktop card holders with customized photos look truly sophisticated when an additional laser engraving is added to personalize it with your company logo and name along with the recipient’s name or a brief message. Along with cards, this desk set can also include pair of pens, a time piece and a small clock. Another amazing gift option on the occasion of Diwali is personalized photo frames. In addition to the person’s name, you can also add a storyline to the photo frame. This gives it a unique look for the recipient. What also can be done is to select one story that will represent a triumph or challenge that your team experienced that year. Additionally, you can also insert the employee’s name, date and company name. Custom backpacks are very useful as they offer employees a convenient way to carry notebooks, laptops, files to and from office. Investing in customized back packs for your employees is an amazing Corporate gifts making them indispensable and dependable to employees. You can add your company’s logo or tagline to the bag. This way your employees also become moving advertisements or walking billboards. Personalized wall clocks are more than just a way to know the time as engraved clocks have turned out to be the perfect recognition idea for office employees. With the employees’ name engraved on the clock, it makes up for a perfect gift to be given to your office staff. The wall clocks are available in mdf, glass, acrylic with the type of customization that you want. This is a perfect personalized Diwali gift, corporate and usable. It is a very good idea to enhance your bonding with your employees by gifting them personalized products.These clever gift ideas on the occasion of Diwali is sure to impress your employees, make them happy and have a memorable festive season.